The Cardinals just lost the second game in a row to the Cubs at Wrigley Field. Gross. … no time like the present to make my Conclave debut, eh? Much like the Cardinals’ offense, I’ve been MIA from the blogging world for entirely too long (for me, at least. You can decide how you feel about that!). But, it’s okay. We’re going to make our comeback together, too. Bird Tales is a bit of a fresh start for me. After a few months away from writing about the Redbirds, I realized how much I missed it. 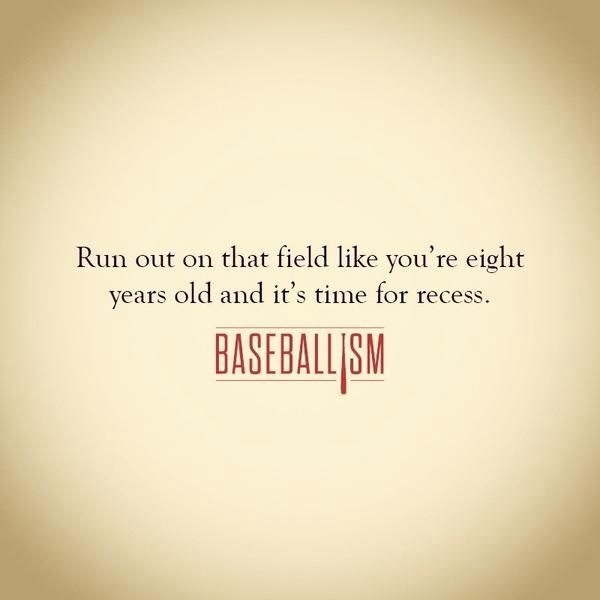 Don’t get me wrong, I never stopped telling baseball stories or analyzing games before, during and after they were played (just ask anyone who unintentionally engaged themselves in a debate about bunting late in the game, relief roles, or roster construction!). It’s the writing I missed, and the sharing my baseball perspectives with you who, for some reason, find it entertaining! So, I’m back. And like a player back from a long DL stint, I’m rarin’ to go. Unfortunately, the Cardinals aren’t helping me out with fun, positive stories to discuss, but that’s bound to come. How? No, the answer’s not an Oscar Taveras promotion. It’s not the firing of Mike Matheny, the commitment to Peter Bourjos, or the demotion of half the bullpen. Blame it on the fact that I watched Little Big League prior to today’s game, but I can’t help thinking this team simply needs to stop panicking (…as does its fanbase, but you didn’t hear that from me) and remember how cool it is to be playing the world’s greatest game for a living. They get to wear the same Birds on the Bat as legends like Stan the Man, Red, and Ozzie, play on fields where history was made, live out the dreams of children everywhere … win or lose, that’s cool. Okay, don’t get me wrong. My mind is whirling with how they can actually score runs, and I’ve done my share of complaining about things like first-pitch swinging and sub-par fielding. I fully believe this group of guys is capable of playing with the best teams in baseball. And, I still believe they will. For now, though, I think they should wander over to a playground in Chi-Town and play a pickup game with a group of kids who still think baseball’s fun. Because it is. Otherwise, I wouldn’t be here, writing about this infuriating and invigorating pastime, and they wouldn’t have worked most of their lives to get this far. There will be plenty of tales to tell as the season wears on. Hopefully, the Birds and I will both have fun sharing them with you.